The significance of colors of your bouquet isn’t a secret, but what is the Red and Yellow Roses Meaning behind? Many of us are perhaps aware of their individual meaning. But when combined, does the meaning change or is there something that we should know? Read on to find the answer. Did you just get a beautiful arrangement containing both red and yellow roses? The first thought that might come into your mind would be how incredibly beautiful and fragrant they were. But remembering the fact that each rose variety comes with its own distinctive meaning, you couldn’t help but intrigued. Red roses are a classic way of showing romantic gesture, but what about the yellow ones? Let’s take a look at the Yellow and Red Roses Meaning, starting from the red. Being one of the most popular varieties, the red roses sure have quite the reputation. Not only are they widely used as a symbol of love, they’re also a classic symbol of desire and passion. Initially tied to the Greek goddess of love, Aphrodite, red roses are a constant fixture in romance novels and poems. From Shakespeare, to Gertrude Steine. Red roses are, undoubtedly, the ultimate symbol of affection. For centuries, red roses have always been the number one choice when it came to love. But this may be a stark contrast to yellow roses. Unlike red roses, the yellow variety has never been closely linked with passion – nor has it been linked with love. The cheerful nature of this particular hue may seem like an odd addition to your arrangement. Its highly optimistic color may be everything on the opposing end of the spectrum. 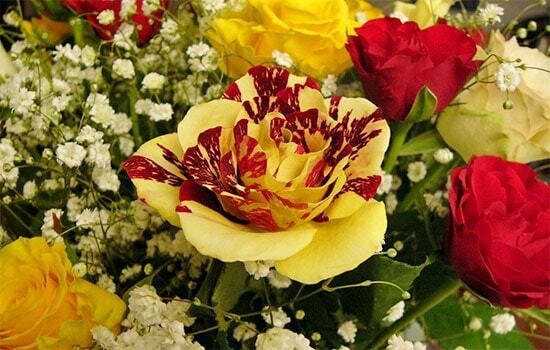 Unlike red roses, yellow roses have a more lighthearter meaning. Likened to the sun, this particular type of rose is highly associated with warmth and joy. Not only that, it also represent friendship, and wisdom. 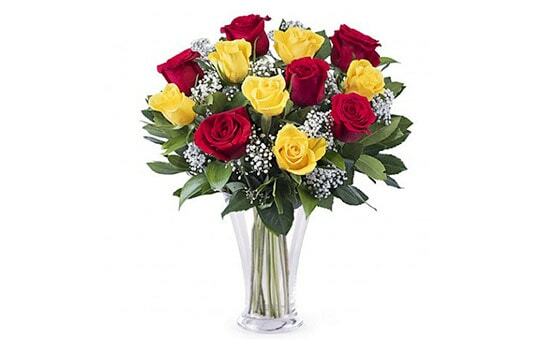 Unlike its red counterpart, the stunning yellow colored roses won’t put you in an awkward situation. Sending a bouquet of yellow roses is definitely more acceptable when giving to a colleague. Simply because it extends a warm feeling of a budding friendship, or optimism. But when you are more than friends, the clash of meaning of red and yellow roses may confuse you. But it shouldn’t be that way! Red roses and yellow roses may not share the same element when it comes to meaning. Their respective symbolisms aren’t exactly similar either. But they’re definitely one of the best floral arrangement that you can get from your loved one! The combination of these roses is indeed the most wonderful way to tell your loved one of one thing. And that is the fact that they’re your lover and your best friend. Finally understanding the meaning of red and yellow roses together may help you breathe a sigh of relief. This rose arrangement does not only express deep love and passion, but also excitement and happiness. Nothing is sweeter than having your best friend as your lover after all. Isn’t this Red and Yellow Roses Meaning beautiful? Next post What Is Yellow Rose Symbolism?